Aug 9th 2015 was not a great day for Australian Sport. Giving up the Ashes to England was only compounded by Yellowfin’s UK team, quite rightfully, letting us know about it in no uncertain terms. 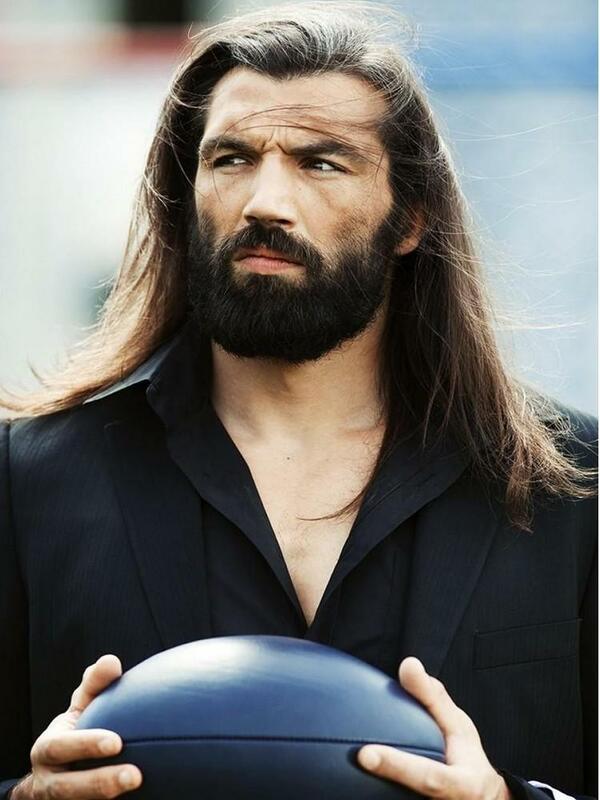 But, then redemption came in the form of a very different shaped ball, a sport where the men are men – Rugby! 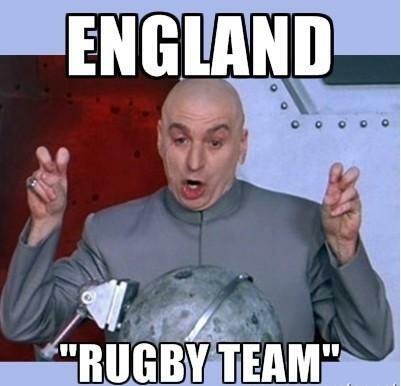 And, England’s capitulation in the 2015 Rugby World Cup got us thinking. As one English team crashed out of a major tournament (the first time a host nation of the RWC has crashed out at the group stage), another was taking all before them in the 2016 Football Euro Championship qualifiers. So, given the massively fluctuating fortunes of England’s respective rugby and football teams, it begs the question: Which sport is the dominant code in the UK in 2015 – football or rugby? Let’s use Business Intelligence software and data visualization to assess individual team performances with the oval and round ball. Let’s start our analysis of Wales at the RWC 2015. The WRU were runners-up in the group and so were assured a quarterfinal berth. Turning to the round ball, Wales’ counterparts also finished runners-up in their group. The difference is that that second-place finish in the football meant Wales made its first major finals appearance in 57 years. That’s right; 57 years. Nothing more needs to be said. With a similar story to Wales, the Scottish rugby team slotted nicely into second place in its to progress to the knockout stages of RWC 2015. But, when it came to football, unlike Wales, Scotland was out-of-the-running long before qualification for the European Championship had concluded. 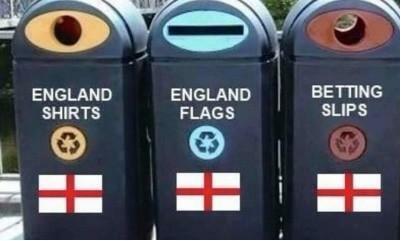 As this year’s RWC hosts, much was expected of the English. But, as we know, not much was delivered. England earned itself an unfortunate slice of history at RWC 2015 as the only host nation to ever not make it out of the pool stage. 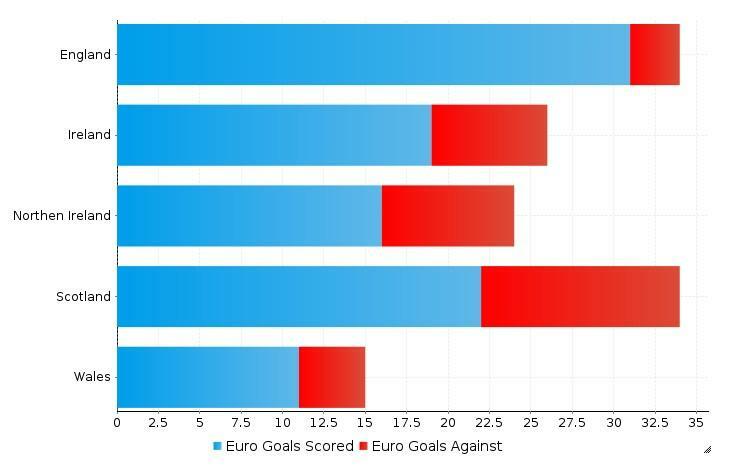 And, as much fun as it is shaming England for its sporting submissions, it’s football form has been unquestionable, which is demonstrated through its impressive UEFA goals for-and-against differential. Now, given rugby is represented by a combined Ireland, whereas the Republic of Ireland and Northern Ireland are split in two when it comes to football, we’ll have to get creative. 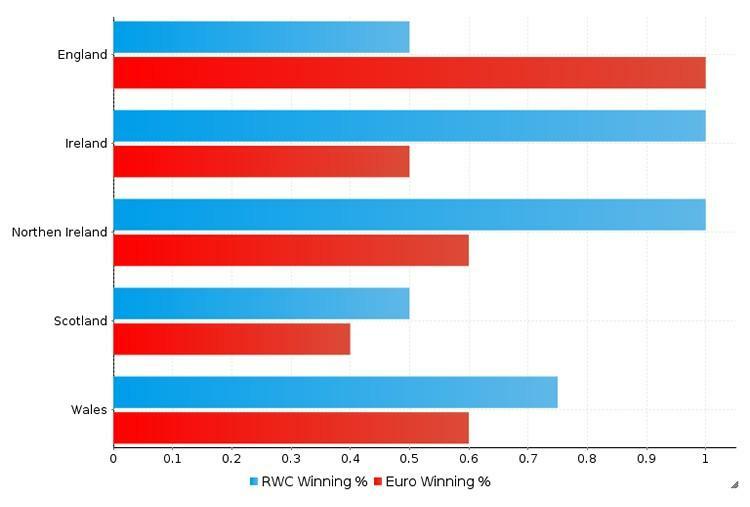 First off, the Irish have shined at the RWC. Of the aforementioned teams, they were the only one to top their group, and are now in a prime position for a run at the final. 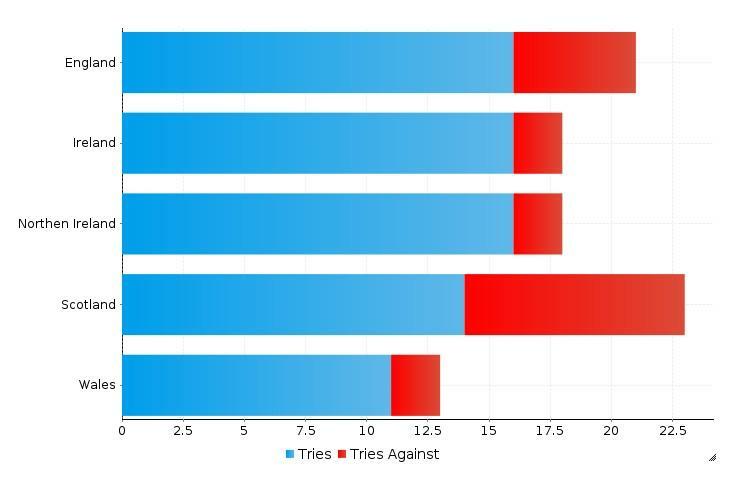 Ireland’s strong run during the pool stage of RWC 2015 is clearly evidenced in its strong tries for-and-against ratio compared to the other UK competing nations. When it came the round ball, Ireland experienced mixed results. The Republic of Ireland fell short by one goal from automatic qualification. While, on the other hand, Northern Ireland made it through in style, having NEVER previously qualified for the championships. Result? It must be a tie! One point apiece. Therefore, our UK winner is… football over rugby, 3-2. It was a tough battle. But, football ultimately prevailed, proving to be the more dominant code in the UK for 2015.